Lexicillin: Kaiser Permanente: "Up To A Third Of Knee Replacements Pack Pain And Regret"
Kaiser Permanente: "Up To A Third Of Knee Replacements Pack Pain And Regret"
Kaiser Health News, the web site for Kaiser Permanente, posted this article "Up To A Third Of Knee Replacements Pack Pain and Regret" last December. They cite a 2014 study in the journal Arthritis & Rheumatology which essentially reports that up to one-third of the patients may not have arthritis symptoms sever enough to merit this procedure. This becomes an issue of informed consent where the potential candidate for surgery should be made aware of the appropriateness of this surgical procedure. "Yet even the newest models don’t last forever. Over time, implants can loosen and detach from the bone, causing pain. Plastic components of the artificial knee slowly wear out, creating debris that can cause inflammation. 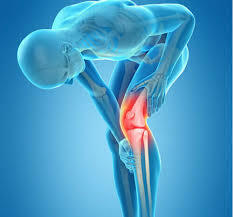 The wear and tear can cause the knee to break. Patients who remain obese after surgery can put extra pressure on implants, further shortening their lifespan." And, if there is a need for a revision of this surgery, the complication rate could be as high as 35% for men, and 20% in women, for patients under 60.